Cars from Germany are popular the world over. They embody an ideal combination of image, design and quality, and represent the performance capabilities of German engineering. One in every seven jobs in the country is directly or indirectly linked to the German car manufacturing. A key element of the closely interlinked industrial structures is immediate quality control of all parts in the relevant production cycle and hence reliable just-in-time delivery. The quality certificate for the goods is binding, audited and documented and allows just-in-time delivery and hence customer retention. Stringent, automated input control and parts inspection ensures a company’s production quality. 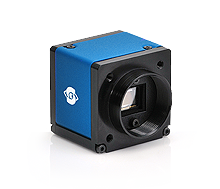 SVS-Vistek cameras measure the size, orientation and characteristics of component parts and interim products. And they do so twenty-four hours a day, reliably. Highly networked supply chains are possible if the quality of the intermediate products fully complies with the defined specifications. Perfect image quality forms the basis of all robust quality checks. If large volumes are to be measured and checked, the system price of the application also plays a role. 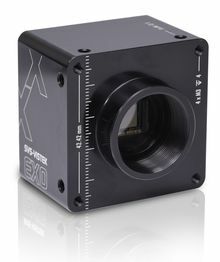 Hardware camera features such as an integrated strobe controller result in applications that are also lean in terms of price.